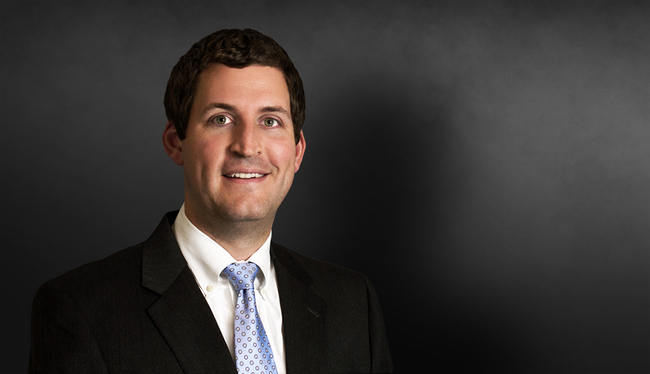 Jad Dial is a partner in Weinberg Wheeler Hudgins Gunn & Dial’s Atlanta office. At his prior firm, Jad practiced primarily in the areas of premises liability and legal malpractice. During this time, Jad successfully obtained results for clients both at trial and also in pre-trial proceedings. Today, Jad represents clients in many areas of the law in many different jurisdictions. Jad is a member of the Georgia Defense Lawyers Association, American Bar Association and is a member of the State Bar of Georgia’s Young Lawyer Division. In his free time, Jad enjoys spending time with his wife Katie and their children Walker, Blakely and Hadley. He is also a diehard fan of the Georgia Bulldogs, Atlanta Falcons and Atlanta Braves. Assisted in obtaining defense verdict for national trucking company in a lawsuit filed by the mother of a two-year-old girl who was paralyzed in an accident on the Florida Turnpike. Plaintiff’s counsel asked for $75 million in closing arguments. Successfully represented national trucking company in seven admitted liability lawsuits arising out of a single accident, including one jury trial where the verdict was $7 million less than the Plaintiff’s pre-trial demand. Obtained defense verdict on behalf of a national property owner with respect to allegations regarding the negligent design and maintenance of a popular local shopping center. Obtained favorable settlement on the morning of closing arguments after a seven-day legal malpractice trial. The underlying case involved a medical malpractice case concerning the alleged misdiagnosis of sarcoidosis. Successful settlement on first day of trial in an admitted liability, above-the-leg amputation case. Obtained multiple summary judgments on behalf of national property owners sued for premises liability. Obtained summary judgment on behalf of law firm for $642,000 in unpaid legal fees. The summary judgment order also included over $300,000 in prejudgment interest. Obtained multiple summary judgments defending lawyers and law firms sued for legal malpractice. Obtained dismissal of RICO lawsuit filed against client in federal court. Assisting in defense of numerous wrongful death and serious personal injury premises liability and trucking cases. Assisting in defense of several high stakes legal malpractice claims.